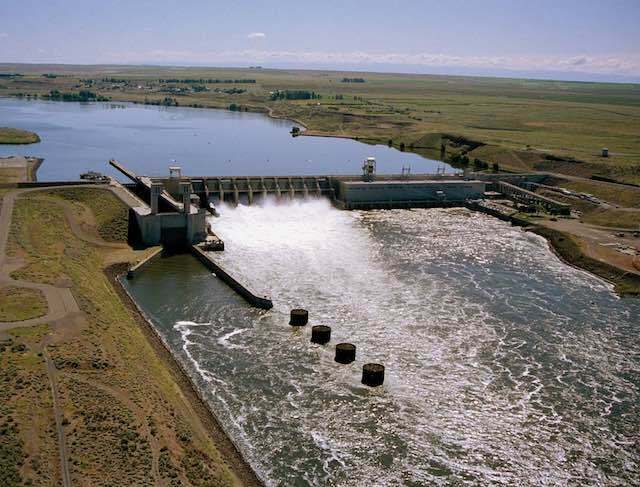 Walla Walla, Wash. - The Army Corps of Engineers begins spring spill at the four lower Snake River dams on Wednesday, hoping a new method will benefit both fish and hydropower. The Corps' Walla Walla District owns and operates the four dams - Ice Harbor, Lower Monumental, Little Goose and Lower Granite. This year, the Corps begins implementation of new, 24-hour flexible spill operations. The purpose is to support downstream juvenile fish passage while also providing operational flexibility that allows federal power system benefits at these dams. This operation is meant to help the region learn whether spill for juvenile fish passage further improves the survival of juvenile salmon and steelhead and, over time, improves adult returns, while also keeping in balance costs in hydropower generation. Spring spill starts at the lower Columbia River dams on April 10.